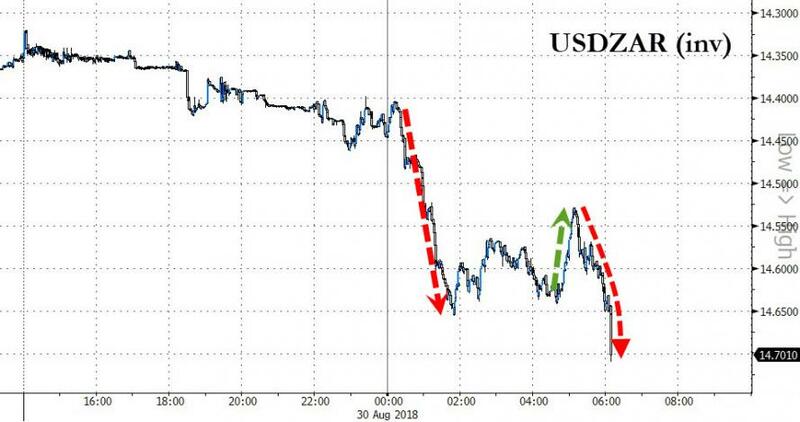 In a barrage of headlines that sparked chaos in FX algo markets, The South African government proclaimed proudly that it is opposed to illegal land grabs (sparking a rally in the rand) before humans realized that this is mere statement of fact and that the entire reason for this process is to 'legalize' land grabs through reform. As Deputy President David Mabuza said, the nation will “slide into catastrophe” if land reform doesn’t take place. “The majority of our people are poor and homeless,” he told lawmakers in Cape Town Thursday. Notably, the rand is behaving more erratically this month than it did during the height of the power struggle between Jacob Zuma and Cyril Ramaphosa in December. 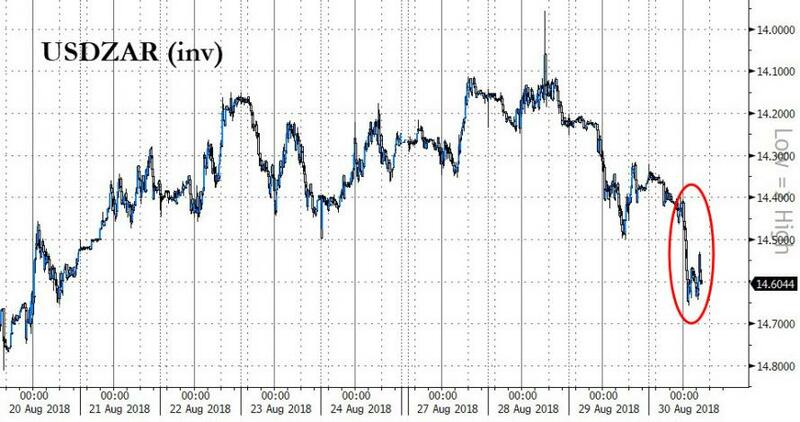 The rand’s one-month historical volatility is now at its highest level since December 2016 and the currency is headed for its worst August performance against the dollar on record, on track for a 9 percent drop. As Bloomberg notes, President Cyril Ramaphosa has embraced land expropriation without compensation as a means to achieve equality and racial justice, and in a bid to steal a march on populist opponents before elections in 2019. A planned amendment to the constitution is still a work in progress, with public hearings on the matter concluding next month. And today, The IMF also backed "land reforms" as long as they are "rules based." The IMF's senior resident representative in South Africa Montfort Mlachila told Reuters that the reform must not damage farm output to ensure South Africans continue to have reliable food supplies. The question is - who sets the rules, because it is certainly not the market.